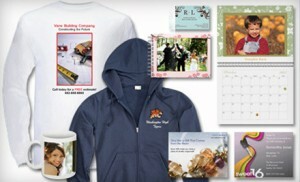 Vistaprint: $70 credit for just $17! 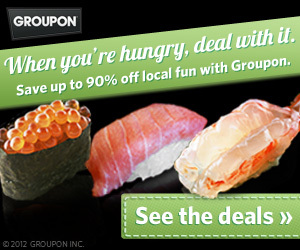 Groupon has an AWESOME deal that is available today! Get a $70 Vistaprint credit for just $17! Use it to create business cards, mugs, or other promotional merchandise with your business logo or use it to create personalized gifts such as photo calendars, tote bags, or shirts. I love Vistaprint and have ordered many items from them including business cards, car magnets, and tote bags! Limit 1 per person, may buy 1 additional as a gift. Cannot be combined with other offers or partner programs. Must redeem online at www.vistaprint.com/groupon-70. Must use in 1 visit. Valid for all Vistaprint items. Shipping and sales tax not included. Office Depot $20 gift card for only $10! Groupon Deals: London Fog hand bags, e.l.f. 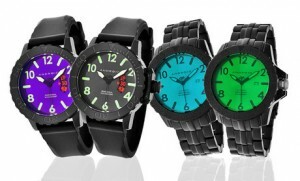 Cosmetics, Android Watches, and more! I’m a huge fan of Groupon and today they’ve got some awesome deals, whether you’re looking for yourself or you need gift ideas! Two brushes and one exfoliating attachment connect to a waterproof handheld device to scrub away dirt, oil, and makeup from faces and limbs. 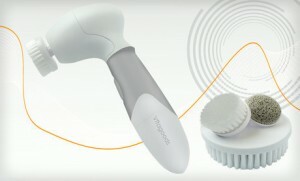 The brush system can be used in conjunction with any nonabrasive cleanser to maximize its rejuvenating effects. Afterward, products like lotion or psychiatric questioning penetrate more deeply into pores so faces stay as hydrated as Aquaman’s house plants. Over time, these scrubbing brushes can help make skin smoother and minimize blemishes. NOTE: A shipping and handling fee of $5 also applies to this deal. 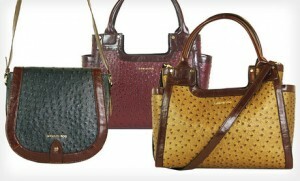 London Fog’s fashionable women’s handbags keep your valuables within arms’ reach and add a chic flourish to any ensemble. Shoulder straps, zipper closures, and London Fog–branded hardware festoon both of the available styles—tote and crossbody. The vegan-leather exteriors show off an ostrich texture, and the interiors help you stay organized with a collection of pockets, compartments, and thimble-size life coaches. NOTE: A shipping and handling fee of $3 also applies. Stainless-steel cases and a hardened mineral-crystal shield protect each watch’s dial and inner workings from everyday wear and tear and the occasional helicopter free fall. Stainless-steel or rubber watchbands hug wrists securely with adjustable straps, and the Trans 48 models can withstand sinking through up to 500 meters of water. 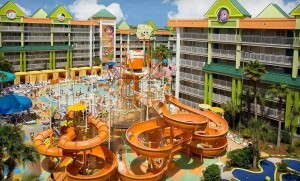 If you’re planning a trip to Orlando, FL any time soon, grab this deal on the Nickelodeon Suites Resort! Prices start at just $84 per night for a suite! I’ve heard great things about this resort! If you’ve got little ones, then you know what it’s like to wake up in the middle of the night with a sick child and to scramble to find a thermometer! 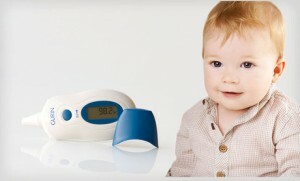 If you’re looking for a deal on a thermometer, right now you can get this Gurin Infrared Ear Thermometer for just $19! This is regularly priced at $59. This is a great gift for new moms! A large LCD screen displays Fahrenheit temperatures after the thermometer takes a one-second peek inside ears. This speed, coupled with an ability to take readings from the ear canal, eliminate the need for lengthy waits or uncomfortable thermometer placement. Because the probe is small and waterproof, it can be used to take the temperatures of everyone from babies to adults trapped in whale bellies. I’m also intrigued by this Dash Yogurt Maker. It’s on sale for $25 (regularly $60). You can make 8 jars of homemade yogurt in 8-12 hours! At-home chefs easily whip up homemade yogurt with Dash’s convenient countertop appliance. 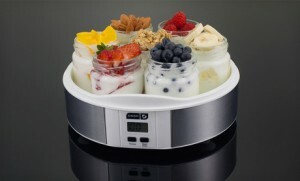 After less than 10 minutes of prep time, the yogurt maker creates up to seven jars of creamy yogurt in 8 to 12 hours. The easy-to-use kitchen accessory features a one-touch on/off switch, a digital interface with large numbers, and an integrated timer function. The set’s seven glass jars are dishwasher-safe and can be sealed with included BPA-free lids. And unlike a temping bounty of Halloween candy, the yogurt maker is backed by a one-year limited warranty. Every year I tell myself that I’m not going to procrastinate sending out holiday cards and every year, I fall short. 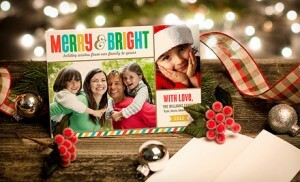 This year I’m hoping I’ll be ahead of the game since I just took advantage of this Groupon deal for 40 personalized holiday photo cards from Zazzle! The retail value is $67. This includes envelopes and shipping! There are more than 250 different cards to choose from! Limit 3 per person, may buy 2 more as gifts. Ships to U.S. only. Does not ship to Puerto Rico.Ships out 7-10 business days from date of redemption. Does not ship to PO boxes. No returns. Valid only for option purchased.